ProofHub is a web-based project management software built to help teams collaborate and finish projects faster. Used by nonprofits, universities, freelancers, and large enterprises alike, ProofHub offers five different plans, each scalable to fit the needs of any size business in a variety of industries. ProofHub has divided the project management process into three ideas: make plans, organize work, and deliver on time. Team members can make plans by collaborating in real-time through the Discussions portal, where conversations about particular tasks, clients, and ideas are privately or publicly threaded. A unique feature allows to-do lists, tasks, and even sub-tasks to be assigned individual priority levels. Once plans are made, users move on to the organizational phase by storing, editing, and sharing files on one comprehensive dashboard. With the integration of Google Drive and Dropbox applications, ProofHub provides easy file management and effective organization tools. A special proofing tool is also included to help team members receive feedback on documents, designs, and assignments in real-time. Finally, ProofHub facilitates the timely completion of projects with its Gantt Chart feature, which allows users to resolve time discrepancies, reschedule early or delayed tasks, and manage dependencies between tasks. Users can also add special project events, significant milestones, and employee time-sheets into the timeline with the calendar feature. Due to its web-based platform, ProofHub can be accessed on any device with an internet connection including iOS and Android mobile devices, tablets, and laptops. 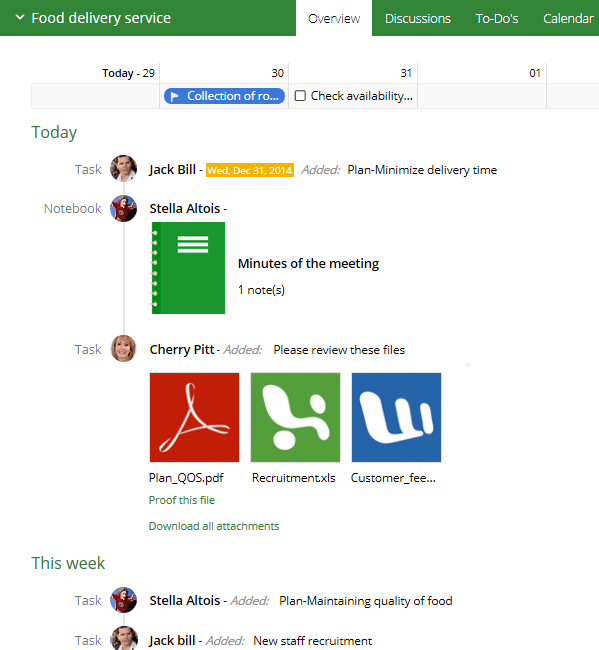 Two designers we’ve worked with have settled on ProofHub as their project management solution. With daily, weekly, and yearly projects in the works, the designers needed an application that would allow them the flexibility to work on multiple projects simultaneously. Not only does ProofHub let them do this, its proofing tool lets the team pay attention to individual sub-task details and make any edits to the project. By sharing all interactions with team members and clients in one simple interface, this project management software has helped the two designers organize their workflow and streamline tasks to better serve clientele. Not what you’re looking for? View more top Project Management software reviews using the Project Management Product Selection Tool. Learn everything you need to know about ProofHub. Our experts will reach out to you shortly.